The Maltese Cat, the main character, takes you to play polo on the roof of the world. Chapters 37-39, 40-41, chapters 42-43, 44-45. The Cat caught an Emirates flight from San Francisco International to Islamabad. It took just over 21 hours. He could have selected a combination of United Airlines and Pakistan International Airlines, whose flight time was slightly shorter, but his experience told him that he would be better taken care of by Emirates. The flight was long but the in- flight service was excellent and he hardly noticed the thirteen hour time difference when he arrived at his destination. Another reason for flying with Emirates was the one stop in Dubai, instead of United’s stop in Beijing. This way, his friend, Bruce Cowdray, could join him on the second leg of the trip. Bruce lived and worked in Jeddah, Saudi Arabia. They had also met initially through a polo website and found they had much in common. He invited Bruce to meet him in Pakistan to visit Shandur. Bruce had readily agreed, arranging it around his busy work schedule. Bruce would be an asset since he had already experienced Shandur and had made friends there. Unfortunately, after the Cat had booked his flight, he discovered that Bruce elected to fly directly to Pakistan, avoiding Dubai. Bruce explained that he had a history in Dubai so he wanted to avoid further complications by not returning there. it was not a question of religious differences. There was also a handwritten telephone number on it. He placed it in his wallet. Perhaps someday it might come in handy. In Islamabad, the Cat and Bruce were met by Kaiser. Kaiser had arranged accommodations for one night for the two weary travelers. The following day the three took a flight up to Chitral, which was located in northern Pakistan at 5,000 feet above sea level. 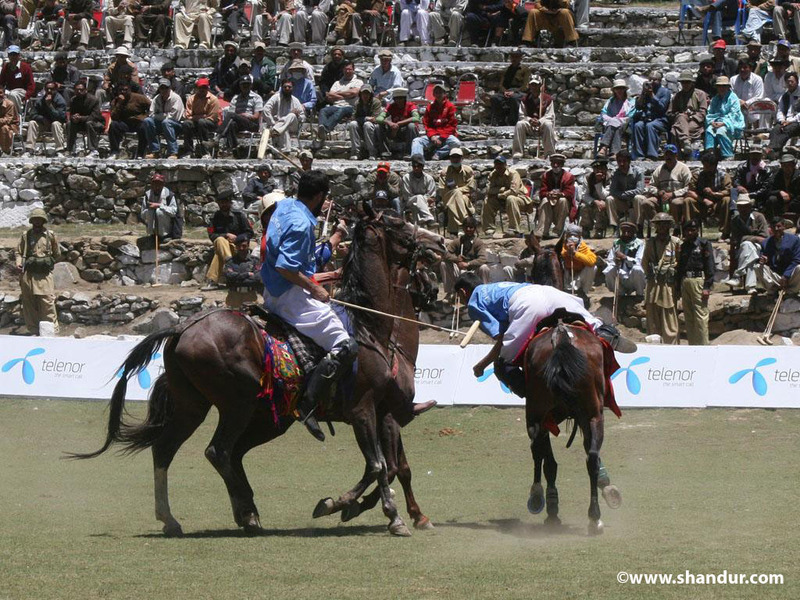 Chitral’s polo team is one of two regular participants at the Shandur Festival, together with their perennial rival, Gilgat. 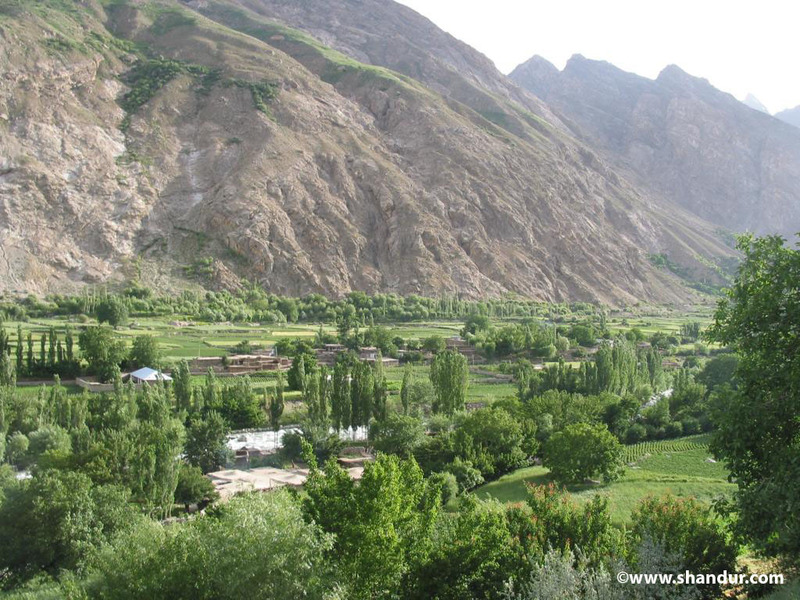 One night in the Hindukush Regent Hotel refreshed the two travelers and the next day the three set out in a 4-wheel drive pickup truck, along with their guide, to climb the narrow mountain path that led to the Shandur Festival. The unimproved road wound along the path of the river, with precipices sometimes of over 500 feet. The Shandur Festival is an event that is held at Shandur Top, a plateau located in northwest Pakistan, every July, as it has been since 1936. In 1935, UK Administrator for Gilgit-Baltistan, E. H. Cobb, tasked Niat Qabool Hayat Kakakhail to build a polo field in Shandur. The polo ground was named Mas Junali because, in the local Khowar language, mas is the word for moon and junali is the word for polo ground. Cobb was fond of playing polo in the moonlight. Upon completion, Cobb was so impressed by Kakakhail’s accomplishment that he wished to reward him for his service. Kakakhail refused to accept any personal remuneration for his work. Instead, to benefit the community, Kakakhail asked Cobb to supply trout in order to stock the local streams. Cobb arranged for live trout to be brought in from England and these were placed into the nearby River Ghizer. Due to this small, selfless request, the Directorate of Fisheries was established and hundreds of people were employed. Today, some of the fish found in Hundarap Lake and in nearby Lake KhukushNallah are said to weigh up to 40 kilos. When the three travelers finally arrived at their destination, the first thing they noticed was the camp of colorful tents and the variegated flags aloft. The next thing they noticed was how thin the air was. At over 12,000 feet altitude, they had been warned about the acclimatization process they would encounter. This was the Cat’s first trip here, but Bruce had been here on several occasions. He acted as their tour guide and sought out old acquaintances, leaving the Cat and Kaiser to unload their luggage from the pick-up. The Pashtun are a mountain tribe who live in the northwestern region of Pakistan and in southeastern Afghanistan. They compose Afghanistan’s largest ethnic group and are the second-largest ethnicity in Pakistan. Many of the Taliban members are Pashtun. “But necessary,” Cat replied tersely. “It must be to bring you here to the outer reaches of the world,” said Kaiser. “Oh, don’t you know? I came for the polo,” quipped the Cat. They smiled and continued to unload their gear. once in a lifetime dream. Over the course of the few days, a number of spectators regularly showed up to watch the three men on the field, stick-and-balling, a term used in polo for hitting practice. Kaiser received the most attention and admiration for his enormous hits. People began to speak of him with reverence for his ability to send balls almost the entire length of thefield with one stroke. He was doubly popular by the fact that he was a native son. A story circulated around the camp. Bruce answered gruffly, “Bakku-shan.” The Cat smiled at Bruce’s use of the Japanese concept of watching an attractive woman from behind, only to discover, upon seeing her from the front, that she was not at all as desirable as one had hoped. As Bruce and the Maltese Cat walked on together, the Cat’s thoughts shifted to the sheer beauty of their surroundings. Many considered this tournament venue The Roof of the World, a reference to the part of High Asia that is usually reserved for Tibet. Off in the distance, he could see the majestic peaks of the Hindukush Mountains. Somehow, they reminded him of his native California and of Yosemite National Park where he had spent many summers. The crisp mountain air in Shandur brought back a treasure chest of mem0ries unrelated to this area and the Maltese Cat enjoyed his stay, still wondering if he might ever come in contact with the Taliban, as was planned. One evening by a campfire, in a discussion with the captain of the Gilgit team, Bruce mentioned that each player was allowed to ride only one pony throughout the match. Bruce explained that the use of only one pony allowed peasants to compete with emirs. Money was not the restrictive obstacle as it is in polo tournaments elsewhere, where a player might have access to a dozen or more ponies for a match. It occurred to the Cat in that instance that this exact phrase applied to the Boys Club. The boys believed that they were above the crowd and this belief manifested itself in their supercilious demeanor towards others. Their avarice will be their downfall, thought the Cat. On the night before the final, there was a great feast in one of the tents used by the Chitral team. Along with the standard fare of roasted lamb and lamb kebabs, rice dishes, and Nan (bread), there was also ChanayKa Pulao (Chickpea/Garbanzo Bean Pilaf), various vegetable dishes and more exotic fares, all washed down with NimbuPani (lemonade.) A pot was later carried around which had a most unusual appearance and aroma. Kaiser explained that it was some concoction with goat meat, blood, and even goat eyes. All three men decided to pass on this. Bruce bragged that he had an iron stomach but this was a wee bit too challenging for his constitution. By the fourth day, no attempt had been made by the Taliban to contact the Cat. The final polo match was scheduled for later in the afternoon. Unfortunately, during the morning, the word spread that a number of the Chitral players had fallen ill and would not be able to contest the final. Bruce attributed this to the players’ indulgence in the strange stew from the night before. Each of the ill players had consumed sizable portions of the stew, so Bruce’s conclusion was not without merit. It seemed all so anticlimactic that the festival should end without a final game until Kaiser strolled over to the Cat and Bruce. “There seems to have been a game change,” Kaiser announced. “We’ve already heard,” said Bruce, glumly. “Scout’s honor,” retorted Kaiser. “They must have seen you, Bruce, stick & balling, and thought they would like to see you on a field.” Kaiser then smiled in the Cat’s direction in a most sarcastic way. “I don’t care what the reason is. I’m in!” cried Bruce. They all agreed to play. They went in without high expectations and felt none of the usual pressure before a major match. It was to be a friendly game, so what could happen?